Since the recent announcement that over 10% of public libraries are threatened with closure, many people across Britain have been actively campaigning to reverse the decision, none more so than two of our students Antonia Listrat and Natalija Tkacuka. The two Sixth Formers have been pro-active in gathering local support and helping give a voice to the local community who are opposed to the potential closures. 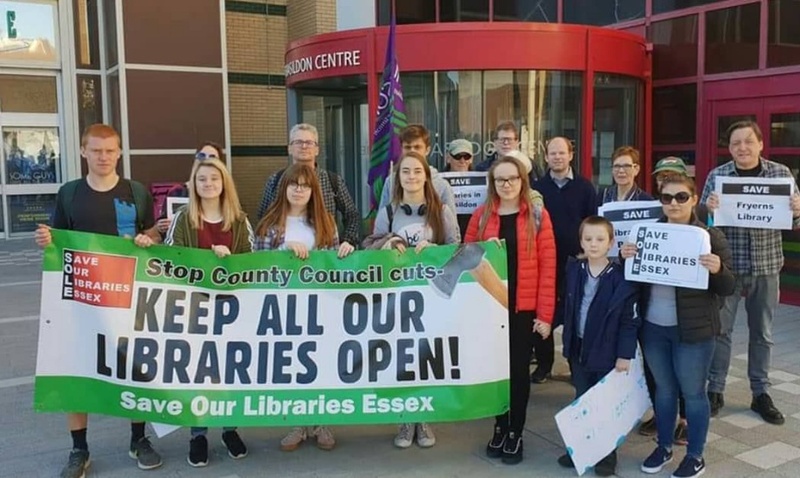 Among the ideas to raise public awareness the students organised a demonstration walk with the support of S.O.L.E (Save Our Libraries Essex) and have contacted local Councillors and MP’s. Both students are also part of the National Citizen Service Regional Youth Board and have used this platform to help gain extra awareness and support. Such was the high profile publicity the students generated they were interviewed by two local newspapers, local radio station Gateway FM and featured on BBC Look East morning and evening news. Antonia and Natalija are currently organising an ‘Action Day’ scheduled for the 6th April, including a special ‘Human Library’ concept aimed at promoting human connection and interaction.